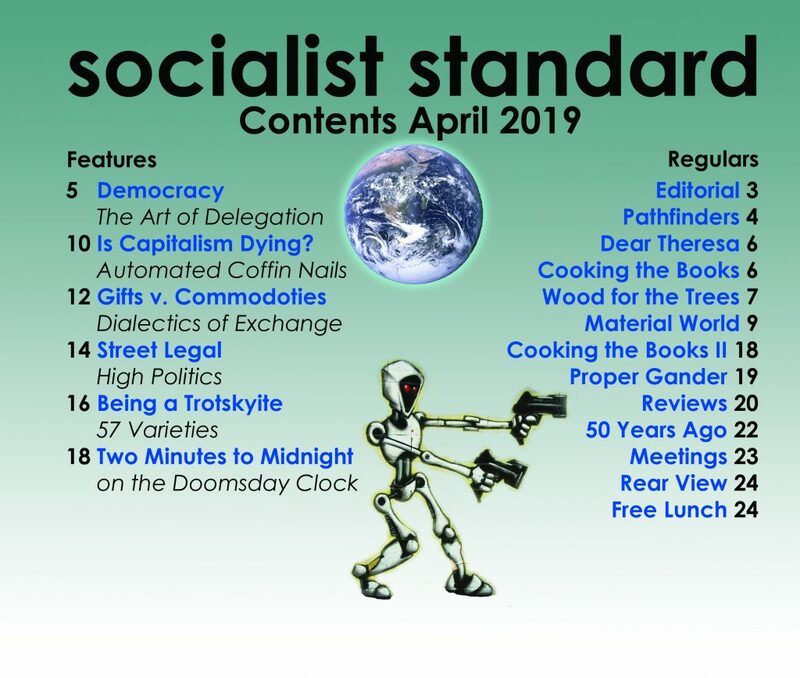 In this special issue we commemorate the sixtieth anniversary of the publication of the first Socialist Standard. In all that time it has never missed an issue. Through the vicissitudes of two world wars, when we often wondered whether we would be able to carry on at all, to economic slump when we were able to continue publication only through the goodwill of our printers, who carried us in debt for years, the Socialist Standard has carried on. Now, we look back on those years, sixty years which have seen so many changes and many terrible events. 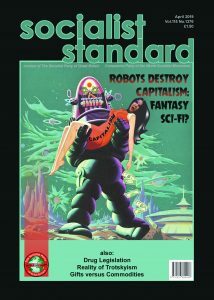 Opposite this page we publish the front cover of the first Socialist Standard. It takes us back into another world, September, 1904—when the motor-car was still a dangerous novelty; when Orville Wright had only a few months before flown the first aeroplane, for just 12 seconds. Fleming had recently invented the thermionic valve, but radio was still in the distant future; and Rutherford had just begun his researches into the structure of the atom which were to result, forty years later, in the annihilation of Hiroshima and Nagasaki. War in those days was something associated with petty campaigns to subdue the native populations of Africa and Asia, although the Boer War had given a foretaste of more serious things to come. The Entente Cordiale between Britain and France had been signed a year earlier as a defence against German capitalism, a grimmer warning of the holocaust in the future. And the outbreak of the Russo-Japanese War a few months earlier presaged both the rise of Japanese capitalism and the Russian Revolution of 1917. In the world of politics there was a lot of talk about Socialism, but it was really reformism that was making the running. The formation of the Labour Party had still to wait two years, but parties like the Social Democratic Federation, the Fabians, and the I.L.P., were already busily paving the way for it. The German Social Democratic Party enjoyed the support of millions and there were similar and strong parties in France, Austria, Italy, and other countries, all claiming to be Socialist.